The renowned nutrition expert and New York Times–bestselling author whips up recipes “loaded with nutrient-dense foods as well as flavor” (Chic Vegan). America’s love affair with pro-inflammatory sugars, fats, animal proteins, preservatives, additives, and high-temperature cooking has given rise to devastating health consequences. As rates of chronic degenerative disease surge around the country, it’s more important than ever to dispel the myths surrounding a plant-based diet and get people excited about choosing foods that truly can be both nutritious and gourmet. Gary Null has witnessed people make remarkable improvements in their health by eating a plant-based, pure foods diet, including individuals going from diabetic to nondiabetic and reversing the symptoms of autoimmune disease. 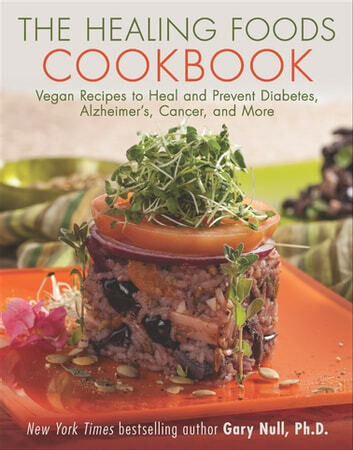 Here are recipes and specific nutrient supplementation protocols for some of the most important health issues facing Americans today: diabetes, cognitive diseases, obesity, pain, cancer, allergies, and aging.